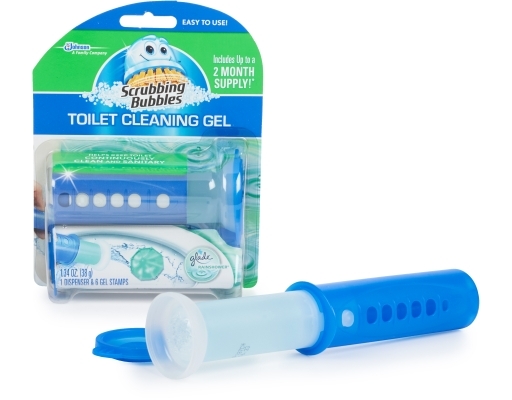 Keep your toilet bowl clean with Scrubbing Bubbles Toilet Cleaning Gel. Scrubbing Bubbles' continuous toilet bowl cleaner cleans with every flush, preventing the build-up of lime scale and toilet rings, helping to keep your bathroom feeling fresh. 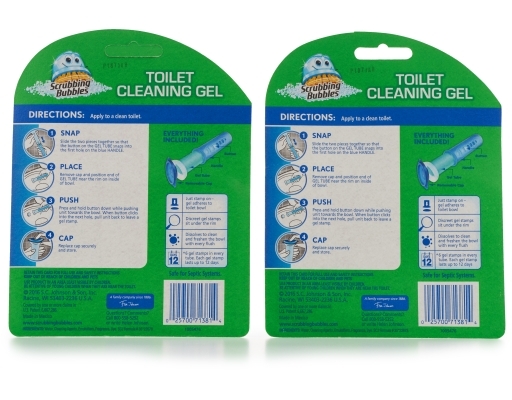 Simply use the dispenser to stamp a gel disc onto the inside of your toilet bowl. The discreet gel disc sits just under the rim. 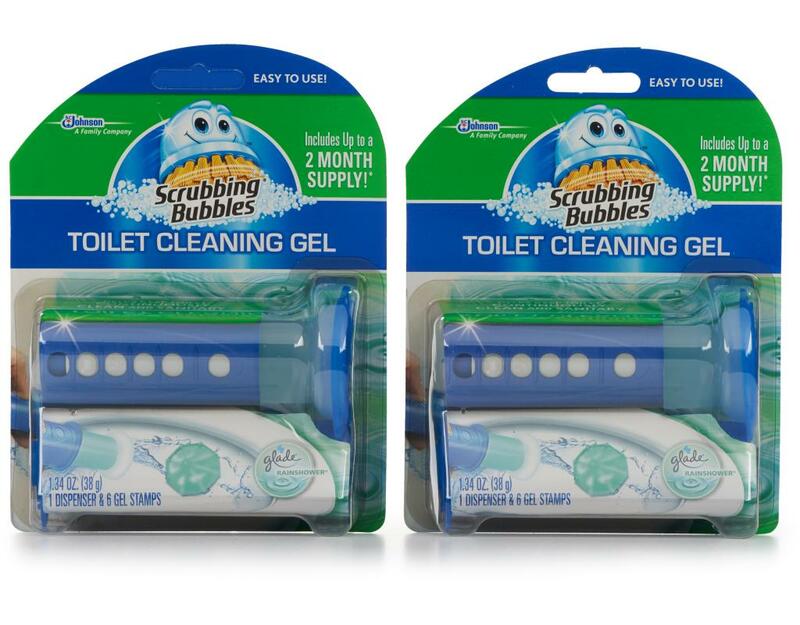 There's no need to touch the disc or the bowl with your hand, making Scrubbing Bubbles Toilet Cleaning Gel less icky than traditional clip-on toilet bowl cleaners.